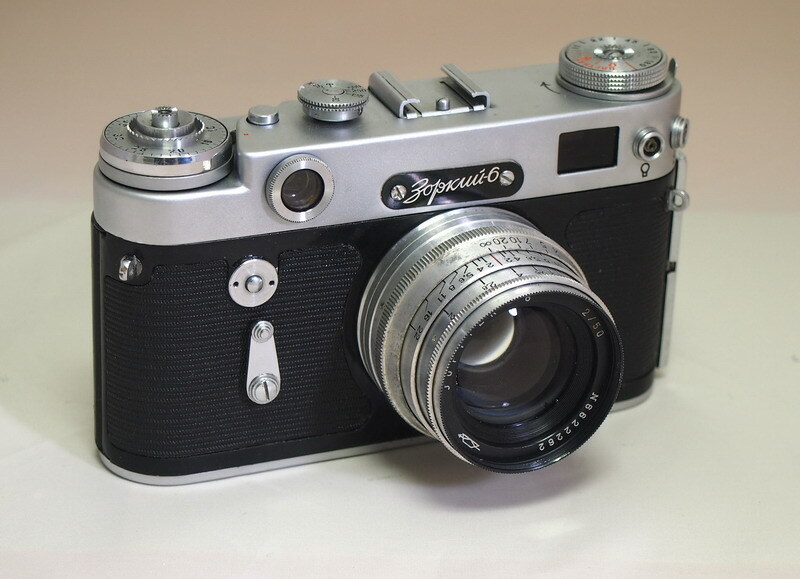 The Zorki-6 is one of the less known Soviet Leicas. I consider it (and its predecessor Zorki-5) as one of the best Zorkis ever made. It has a set of attractive features and differs from an early Zorkis in the same way FED-2 differs from the early FEDs. It features a new, wide base rangefinder combined with a viewfinder, a dioptric adjustment of the viewfinder and strap lugs. 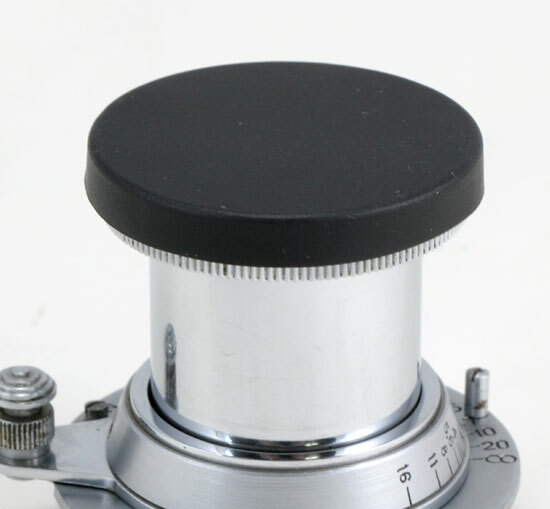 The Zorki-6 also introduced an advance lever which replaced the traditional knob on early Leica copies. Unlike the bottom loading Zorki-5, Zorki-6 has a hinged back door and a built-in take-up spool. Some people call it a Leica M3 copy, but this is a stretch. Nothing I know comes close to a Leica M3. 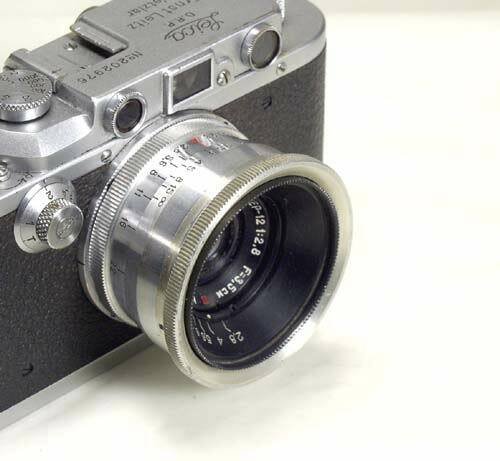 As any Soviet Leica copy, Zorki-6 is compatible with the 39 mm Leica TM lenses. 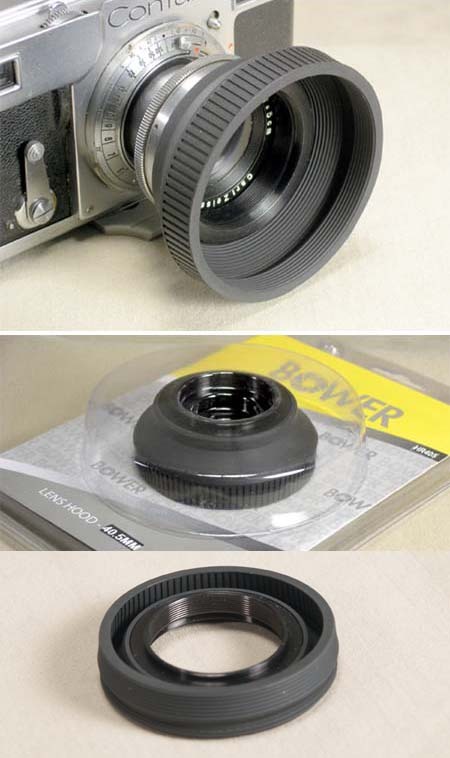 Shutter speeds - B, 1/30, 1/60, 1/125, 1/250, 1/500. Lens - Jupiter-8, F=5 cm, 1:2. Hinged back door and built-in take-up spool (introduced first with this model). 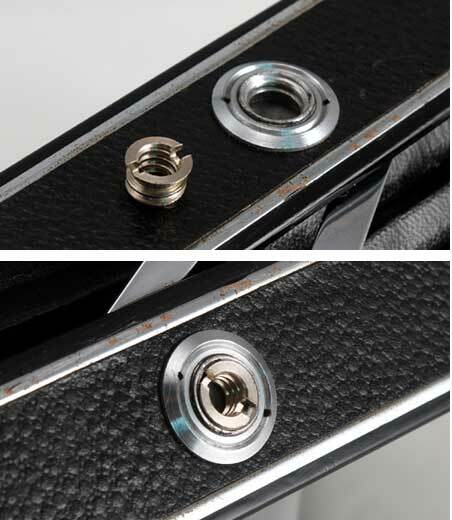 2 PC terminals - for electronic flash and for a flashbulb (as in Zorki-5). 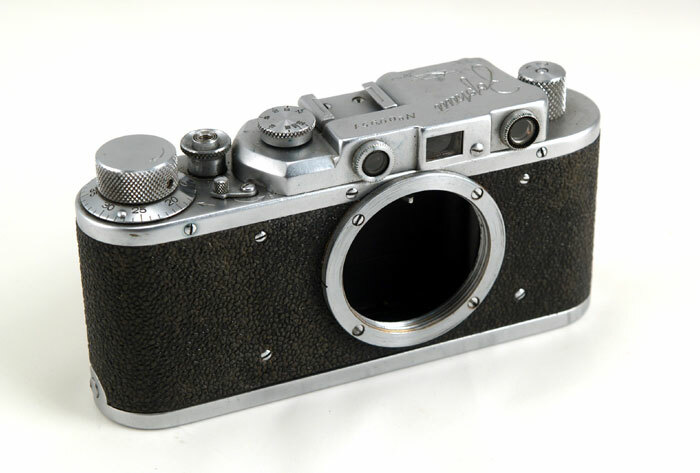 As well as any Soviet Leica copy, the Zorki-6 is a rugged and precision camera, equipped with a sharp lens. It is capable of taking advantage of modern films, and is simply a great fun to use. 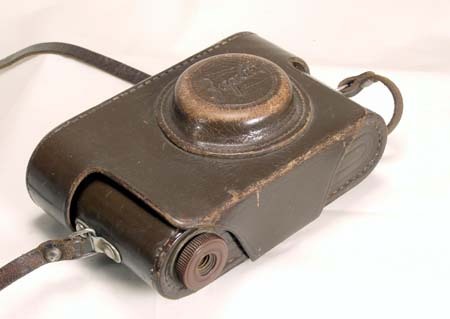 The camera was made in 1960's by the Krasnogorsk plant (KMZ). 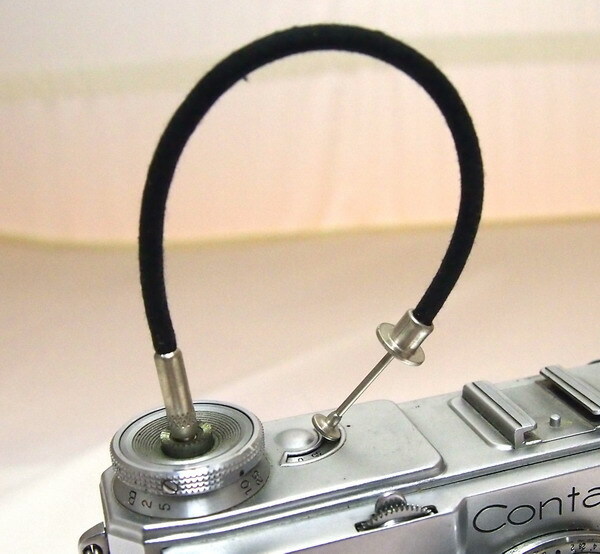 This Zorki-6 comes with a take-up spool (built-in). I have had a chance to run a roll of 100TMax through my Zork ..